Six-time Olympic medalist Bonnie Blair mastered her speed skating skills at the Pettit National Ice Center in Milwaukee. Wisconsin Historical Society Press and the Blair family. Since the 1900 Olympic Games in Paris, Wisconsin has been sending its top athletes to represent the U.S.
Take Alvin Kraenzlein. He grew up in Milwaukee, attended University of Wisconsin-Madison, and helped revolutionize track and field by inventing the modern hurdling technique. Then, there’s George Coleman Poage. The La Crosse native was the first African-American to win an Olympic medal in 1904. And of course, Wisconsin’s speed skating powerhouses like Bonnie Blair and Eric Heiden, who have dominated the Winter Games. 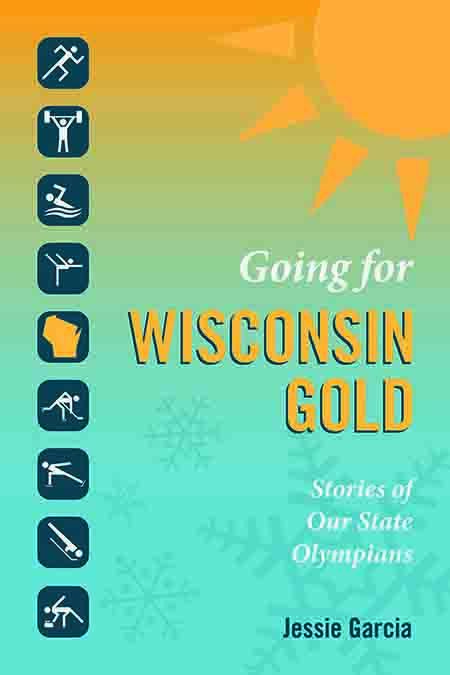 "It just seemed that everywhere we turned, there were Wisconsinites involved in these major Olympic moments," said Jessie Garcia, WTMJ-TV sportscaster and author of the new book "Going for Wisconsin Gold: Stories of Our State Olympians." Through her research, Garcia found that more than 400 Wisconsin Olympians competed from 1900-2014. Garcia included athletes who were born in Wisconsin, grew up or went to school in the state or trained at a Wisconsin facility. "Throw in 2016, we’re up to about 430 athletes," she said. More Wisconsin athletes have participated in the summer games than the winter games, partially because they’ve been around longer and there are more summer sports, Garcia said. Wisconsin’s strong showing at the Winter Games is largely thanks to the Pettit National Ice Center in Milwaukee. "We have a lot of athletes in just about every sport," she said. "That’s one thing I wanted to point out in the book, show the breadth of sports all across. There are sailors, equestrians, curlers, everything." Garcia said she fell in love with the Olympics while watching the 1980 summer games as a child. "There’s something about the fact that it is the whole human experience to me," she said. "You have winners and losers, heartbreak and joy. You have physical pain, emotional pain. I mean, you have everything compressed into each one of these races we watch." As part of the book launch to celebrate the release, Garcia will be joined by a number of Wisconsin Olympians on a book tour across the state.